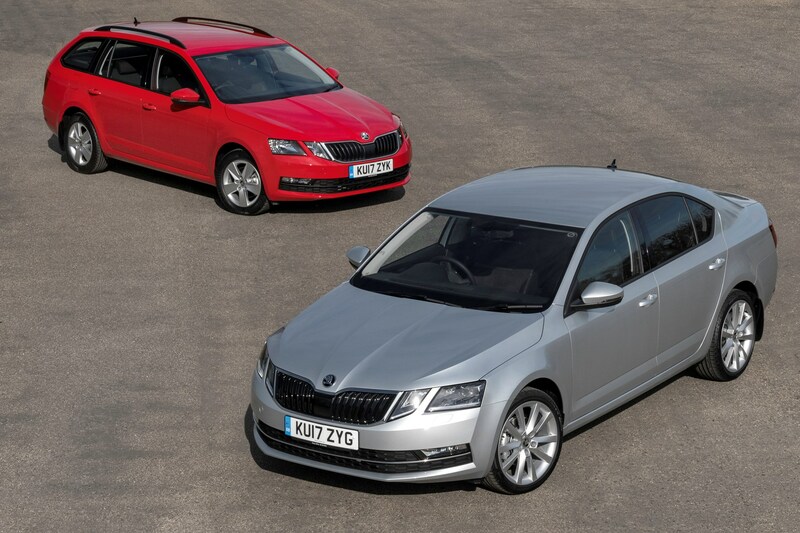 Skoda has announced the introduction of petrol engines for business drivers on its Octavia and Superb models. In a move claimed to reflect buyers’ desire to ditch their diesels (presumably in the wake of parent company VW’s dieselgate scandal), the Czech firm will be ushering in a suite of petrol options to sit alongside the 1.6 and 2.0-litre diesel engines. The Octavia SE Business (pictured above) gets a 1.0-litre TSI, which when coupled with a seven-speed twin-clutch automatic gearbox emits 108g/km of CO2, meaning benefit-in-kind taxation is payable at 23%. With a P11D value starting at £20,755, you’re looking at monthly BIK bills from £80 per month on the 20% pay scale assuming no optional extras. The 1.6-litre diesel engine is available with exactly the same power output and gearbox in SE Technology trim and will cost £76 per month during the 2017/18 tax year. That means it’s going to cost you around £4 per month to go petrol, with the main advantage being that it’s a lot better to drive than diesel, albeit 0.2 seconds slower to 62mph. Why would I pay more for petrol? There are two reasons for doing so. First, it’s fair to assume there will be further financial sanctions on diesel as it falls out of favour politically. This could be revised BIK rates or even restricting their use in city centres. The other reason is that if you don’t do serious miles per year or longer journeys, petrol can also work out cheaper in fuel bills too. This will heavily depend on your individual usage, though. What if I want a faster petrol SE Technology Skoda? Don’t fret: there’s also a 1.4-litre TSI motor with 150hp available with manual or automatic gearboxes. Then on 26 July 2017 the firm is adding a 1.5-litre engine (as we’ve driven in the new VW Golf) to the Octavia range. This model will originally launch with a manual gearbox only, with a DSG automatic to follow in the autumn. The Superb gets a 150hp 1.4-litre TSI that delivers 0-62mph in under nine seconds. We’ve yet to learn CO2 ouput of any of these more powerful petrol engines, though, so it’ll be impossible to calculate approximate BIK costs. 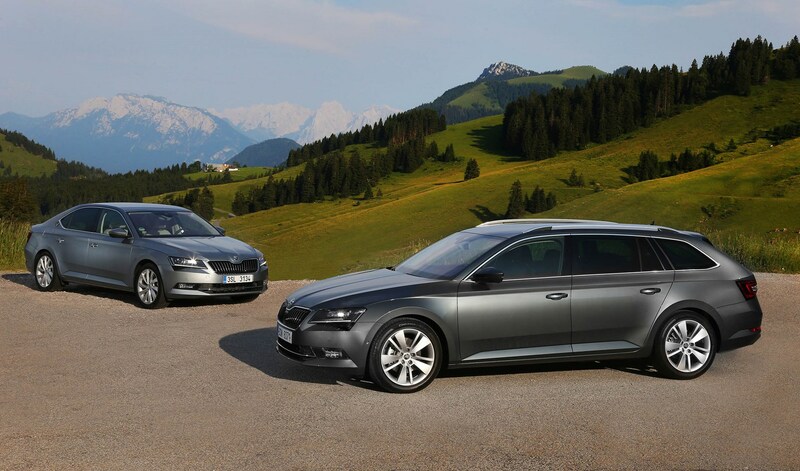 What kit do you get on Skoda Octavia and Superb SE Business? Common kit on both cars includes an 8.0-inch touchscreen multimedia system with Apple CarPlay and Android Auto, plus the capability to transform your car into an extension of your smartphone’s aerial. While a lot of companies nowadays frown upon using your mobile at all while driving, some of the other functionality offered by this advanced connectivity, such as realtime weather and traffic information, could come in very useful indeed.